No matter the year, we love a good pair of green utility pants. The timeless style is a definite favorite through the spring and summer season. 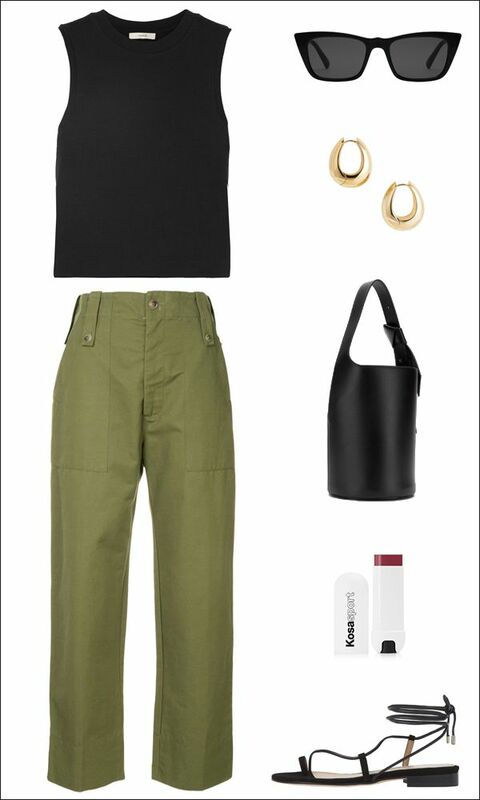 As the weather starts to warm up we plan on wearing ours with a classic black tank top, chunky hoop earrings, a sleek bucket bag, and flat ankle-tie sandals. This is great for off-duty moments and when on vacation. To dress up the look throw on a blazer and swap out the sandals for mule heels if need be.